What is Pure Indian Temple Hair? Virgin Indian hair extensions may be a relatively new concept, even though wigs go back ( ). Even though the way we use their hair maybe new - Indian women donating their hair to temples has been going on for hundreds of years. Why do Indian women donate their hair to temples? Considering that for many women their hair is one of their most precious possessions and seeing how beautiful our Indian hair is; it is easy to see how difficult it must be to give up such a luxurious and personal offering such as this. In fact for many impoverished women it is one of the few things they have to offer. Considering that hair can be so important in status and in the perception of beauty to which the Indian cultures find hair an element of beauty (as around the world) it is easy to imagine how difficult it is when ones beauty can mean a husband or the respect of others. It is a held belief by many of the Hindu faith that the God Vishnu in the form of Venkateswara came to Earth to seek the return of his consort the Goddess Laskshmi who had been insulted and abandoned Vishnu. While on Earth Venkateswara fell in love with Padmavati, the daughter of the king of Tirumala. He wanted to marry her but the king requested an enormous dowry. Venkateswara went to Kubera the God of wealth and took a loan. However he was unable to repay the loan and during the last thousands of years (or hundreds perhaps) there have been many pilgrims who go to the temples and offer wealth to help repay Vishnu’s loan. For many women who have no wealth they donate their hair, which is to them one of their most prized possessions. In exchange for their help in repaying his debt, Vishnu blesses them and grants their prayers. 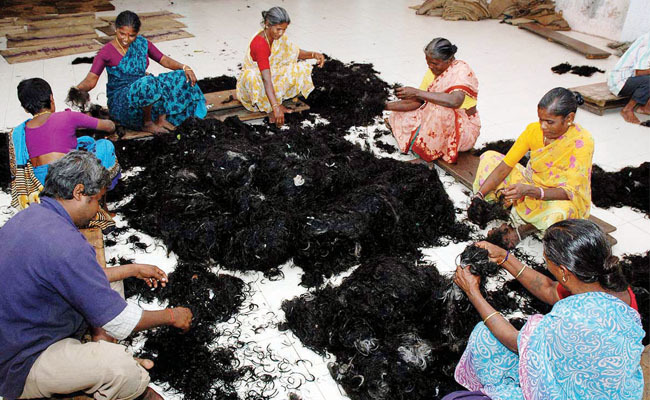 The hair donated to the temples is collected and sold to manufacturers who separate the hair and preserve it. They take pains to make sure that the hair is as it was when it was cut. This is the pure virgin Indian hair that we carry; the best hair in the world. Unlike hair from China, Brazil and other locations; Indian hair is luxurious and virgin hair is untreated with chemicals. Some of the hair has natural waves while others are curly or straight. Many of the temples throughout the South of India use the revenue from the hair to fund hospitals, orphanages and other charity. 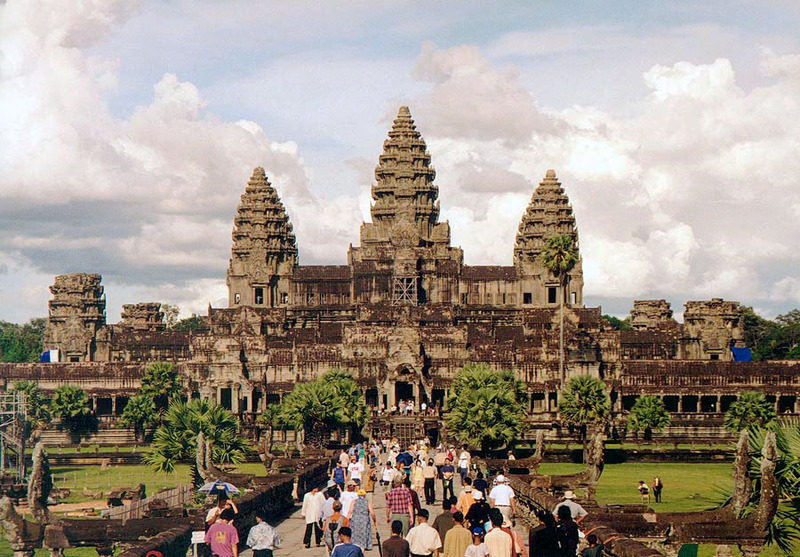 Pilgrims make their way there each year, literally thousands per day during some periods. The help that these temples and the ladies who donate their hair is a blessing to those who need the charity. Each time you buy virgin Temple Hair you are receiving a blessing and you are helping the Temples to spread their charity. Hair is donated in ceremonies where there is a ritual shaving and donation of the hair for Vishnu. The hair is then placed in baskets and once filled is sent to auction. The hair goes for around $400 per pound. The finer hair can reach higher prices. The hair is then sold worldwide. More than 2 million pounds of temple hair is sold each year.